MILANO, Italy – Italians are not happy with their economy and their politicians. The economic crisis leaves most industries suffering, like the scooter industry, which lost over 22% in 2012 sales. Compared to such huge drops the Italian bicycle sector scored relatively acceptable results with a 7.8% drop in the number of bikes sold. Also more people are using bikes around town. It may be a sign of the flat economy, but at the same time it is helping the bike industry in Italy. The fact that buyers are looking for higher value bikes is reflected in the big increase of the average value of imported bicycles. That stood in 2012 at €199.20, up 26% from €157.77 in 2011. “The mid-class price range is improving, but high-end is under pressure. In particular high-end road racers are suffering due to the economy with buyers comparing prices on the Internet,” commented another IBD. Bicycle production in Italy (including e-bikes) stood at 2,195,000 units in 2012. According to the ANCMA statistics this represents a 9.7% drop from the 2.43 million in 2011. Deliveries of new bikes to the various distribution channels totaled 1,652,014 units in 2012, 7.8% down on the 2011 figure. On the export front 1,263,219 bicycles crossed the Italian borders. Compared to the 2011 total of 1.48 Million units, it’s a rather large decrease of 14.6% – due to the economic slowdown in other European economies as well as the bad spring weather. 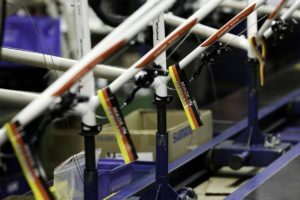 The average value of the exported Italian bicycles went up considerably to €108.34 (2011: €98.49). The Italian bicycle import decreased as well – by 6.7% to 720,158 units (2011: 772,000). Looking at sales by category; the City/Trekking sector has a 32% market share while the classic Italian roadster bike has 10%. E-bikes totaled around 3% of the market in 2012. 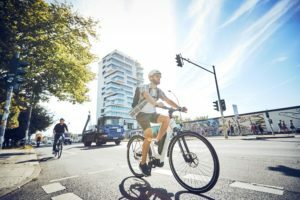 The total of the three groups is 45% and is a clear sign that the Italian market is changing towards the usage of bicycles in cities. Mountain bikes continue to be used for leisure and have a market share of about 30%. The share of children and youngster bikes is around 18%. Road racing bikes, the fame of the Italian industry, had as usual a healthy market share of 7% of the market. Looking at the distribution channels for bicycles in Italy; supermarkets and specialized supermarkets have a market share of about 30%, but they are making only 18% of the total revenue that comes from bike sales. IBDs sell 40% of all bikes and have a 54% share in revenue. 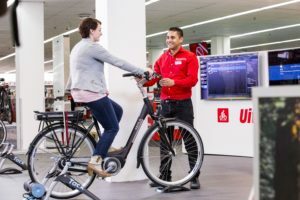 IBDs make 47% of their turnover with bike sales and 23% with P&A (23%), while bike repair is becoming an important source of income with 20% of the total. Bike wear revenue stands at 6% and 2% for others. E-bikes are getting more important in Italy. According to the ANCMA statistics e-bike sales reached 46,000 units in 2012; up from some 42,000 in 2011. E-bike production in Italy is only in its infant stages –at about 5,000 units. Italians pay about €1,200 for an e-bike. Italy, with its various saddle makers like Selle Royal, Selle Italia, Selle San Marco, and components makers such as Campagnolo and Miche, still has an extensive bicycle component industry. In 2012 the export of bike parts and accessories was very positive and comes after stable figures in 2011. The Italian ISTAT Statistics Bureau reports that the 2012 export value of all Italian-made P&A increased by 15% from €401 million to €464 million. 2013 promises to be another “acceptable” year for bikes in Italy despite difficulties like an expected VAT increase. But, as more non-sport-oriented Italians are cycling these days, it’s good reason to be optimistic. Italy’s industry association ANCMA has updated all their statistics starting from 2012 and recalculating as much as possible back to 2011. Comparing the new data with historic numbers may be a bit confusing, but the change will be very helpful for future statistics.ANCMA is changing the statistics to have better insight on all the types of bicycles sold in Italy. 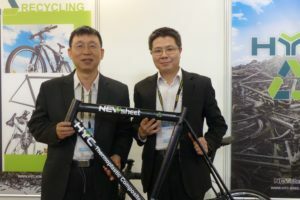 The target is to have statistics for the amount of bicycles sold instead of the produced ones. 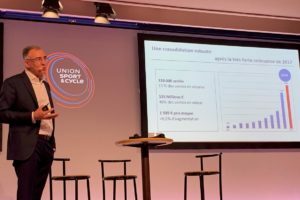 In particular e-bike sales triggered the new way of data collecting and reporting.